*This is JC. He is 26 and lives in Sydney's apartment building. He greets them at the window every morning and tells them tomorrow is his birthday. EVERY day. So cute! He also tells them he is turning 6. Sydney said he is her best friend on her mission. 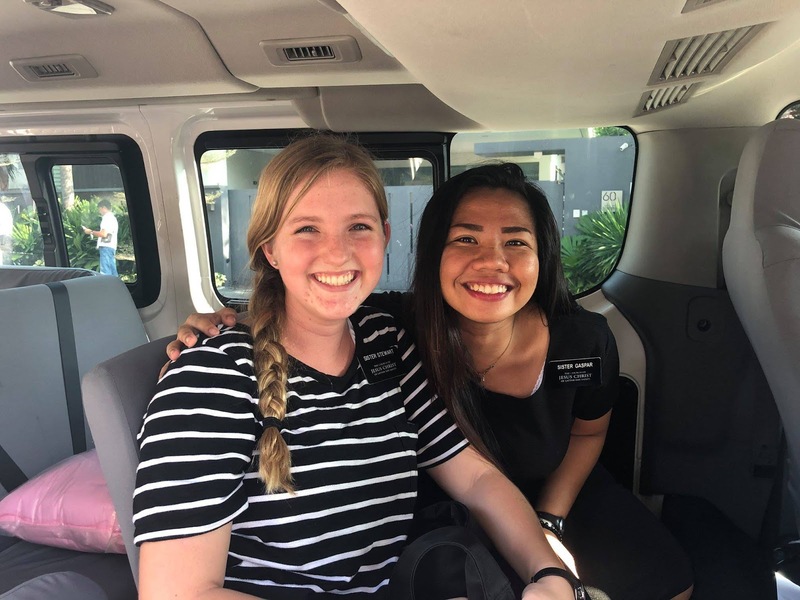 *Sister Nagareda left for her new area. Syd is so sad to lose her as a roommate. Kumusta po kayong lahat!? This week has been an interesting one... Holy Week! There were really beautiful parades with people dressed in white and these big floats with statues of Jesus and Mary. Then the three days before Easter, people disappear. They stay in their houses as a symbol of when Christ was in the tomb before His Resurrection. So it was tricky to find trikes and jeepneys to get from place to place haha! And then on Easter, the people were back! The only real celebration thing that I was able to see was the fireworks at night. We had a national ministering day for Easter and that was awesome! We just visited a lot of people with some members and just checked to see how they were doing. The people here bring me so much joy with their beautiful (a lot of the time toothless) smiles and kind hearts! I am so grateful for my Savior. He helps me through everything. The Atonement of Jesus Christ isn't just for the big sins or big trials in our lives, but it's even for when your confidence doesn't feel as high as it should be one day or if you get a rude comment on your Instagram. If it matters to you, it matters to Him. I have a challenge for you all. Right now, if you can, or later tonight, kneel down in a quite place. Even if the only quiet place in your house is the bathroom, do it there. Kneel down and thank Heavenly Father for sending you His Son. Thank Him for the people who surround you. Just thank Him. I know that as you do so, you will feel His love. I have countless times. I love you all and I pray for you often! There's an election happening soon, and each candidate produces a catchy song and these hired drivers blast it on the streets. So I always have one of these songs stuck in my head, but they are actually such good songs so I don't mind too bad!! I kind of wish America did this, but I don't know if the songs would be as good. "Hey Joe" is a common greeting I get, which they say to any foreigner, male or female. I'm trying to think of a very common but short Filipino name so that I could say "Hoy (insert name)!" back. Please help me if you know a name I could use! Eskinitas... these are really skinny alleyways where homes are. I love them!! It's super interesting. There's always interesting smells and dripping roofs. And there's random big holes in the cemented ground, so you have to constantly watch your step. AND YOUR HEAD!! One day I hit my head sooooo hard on something because I was focusing too much on the ground. OUCH! The food is delicious! 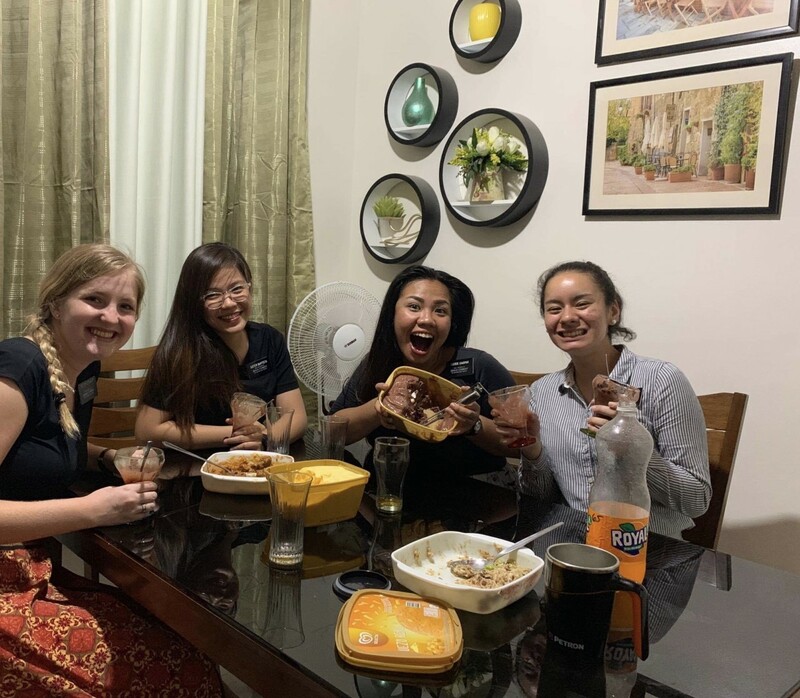 Some interesting things are pig ear, balut (look it up), liver (EWW that's the one thing I really don't like), intestines, full fried fish (mom you'd die if you saw some of the fish I eat), etc. Oh and the other day, at a market, there were all these fish laid out on a table and they were alive!! It was so weird. They just kept splashing them with water. Ok I'll save some more for later! 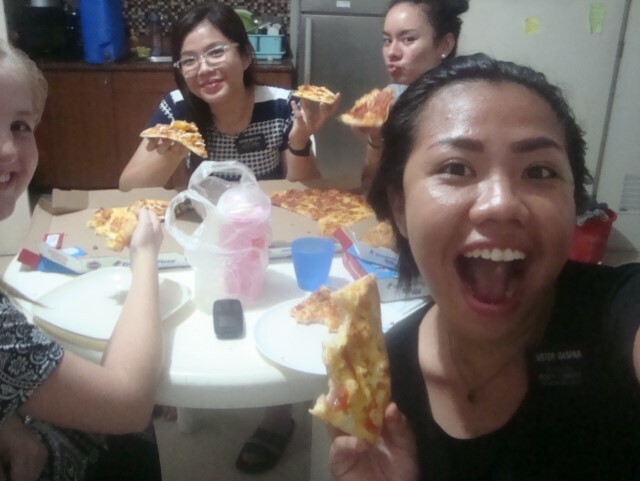 We got to watch General Conference this weekend yayyy!! This is where all the members of the Church all tune in the hear Prophet Russell M. Nelson and the apostles speak the things that God has told him to tell us. I have never been so excited for Conference in my entire life, and it was truly everything I hoped for. I love our prophet so much and every time I hear him and the apostles speak it's reaffirmed to me that they are truly called of God and are speaking His words. My favorite talk was Elder Holland's, especially when he talked about the name the Lamb of God and what that really means. I often feel overwhelmed (the good kind) when I think of God's sacrifice for us. I thank Him everyday for giving us what is most precious to Him and being willing to watch His Son suffer for people who are almost nothing in comparison. It just shows how valuable we truly are in His eyes. I truly believe that He gave us everything when He gave us His Son. The least we can do is give Him back everything, even though in comparison it is only bread crumbs. Sobrang masaya po ako! Always so happy! I love love LOVE it here!!!!!! 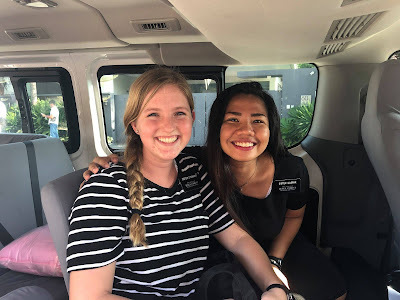 So I know I've been driving my family crazy by telling them this every week, but I feel it is one of the most important things I can do as a missionary. I want to stress the importance of reading the Book of Mormon everyday. Even if it's just 1 verse a day, if you read it with the intent of getting the most you can out of it, it can change your life. Truly. It's through the Book of Mormon that people decide to repent. It's through the Book of Mormon that people decide to be baptized. And it's through the Book of Mormon that people find true happiness. Whatever your questions are, they can be answered there. So far in my mission, I have been able to see how much power comes from reading it. We talk to God through prayer and He talks back through the scriptures. I know this because it's happened countless times for me! I want you all to know how much I love you! This week has been crazzyyy hot. Like WOW. I wake up in the middle of the night just sweating. It's a good thing I'm an Arizona girl at heart! I'm still as white as white can be though haha and no one fails to tell me it. I love Filipino food so much! Still trying to get used to the bones in almost every bite. Ano pa... OH Tagalog is wayyyy hard. I still understand close to nothing and can barely put together a sentence, but I know I'l get there someday! It's such a cool language though, I really love it. Don't forget how amazing you are in God's eyes and in mine. Mahal ko kayong lahat! 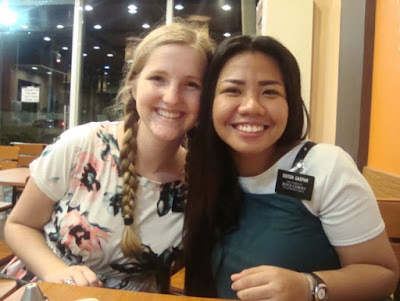 Hello po from the Philippines!! Sobrang masaya po ako!!!!! This week has been interesting... my poor companion has been really dizzy and so there were a couple days where we stayed home while she rested. We thought maybe her eyes were the problem, so one day we traveled far to get them checked, but apparently there's nothing wrong there! It's hard for me because I love to work, but I'm just praying that she will feel better and it won't be anything serious. While I have been home, I have gotten extra time to study. On Friday, I prayed before my study that I would read something that I need to hear, like I always do. I then noticed a pile of Liahona magazines that someone left on my desk. I was going to go put them away, but I decided I'd skim through them first to see if there was anything that interested me. The first one I picked up, as I flipped the pages, I saw a picture of my cousin Porter! It was Elder Neil L. Anderson's talk from the 2015 General Priesthood Session of Conference titled "Faith is not by Chance, but by Choice". He talked about how faithful my cousins were through the hardest trial anyone could face of losing their parents and siblings to a plane crash. To read my cousins' powerful testimonies was exactly what I needed. Heavenly Father is so aware of us. He answers my prayers time and time again. 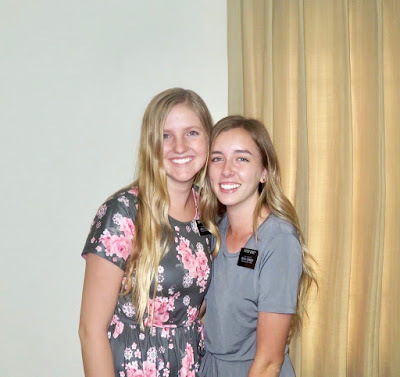 To see the pictures and read the inspiring words of Porter and Zane, amazing missionaries who I look up to, brought me to tears. I know that God is so present in our lives. He put that magazine, published years ago, right into my lap. I love you all!!! Ingat po kayong lahat! So, Sydney is beyond frustrated with photos. She has some amazing pictures on her camera, but they won't download on the painfully slow internet cafe computers. I've shipped her off the sd card reader she needs, but it takes FOREVER to get packages to her. 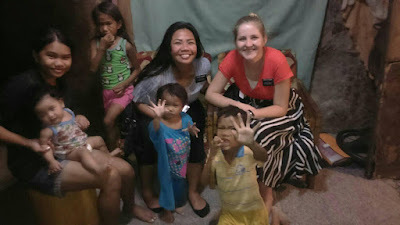 Luckily, President Koster (her mission president) saw her this week and sent me a few pictures. Enjoy! I love you all, I pray for you all. I'm happy! These are some pictures from Sydney's companion's camera. Hi everybody! I am so sad, I have amazing pictures to send but I cannot get it to work :( I'll try again next week. I am running out of time. Please know how much I love you all and how grateful I am for all of your support and prayers. I am surrounded by amazing people. 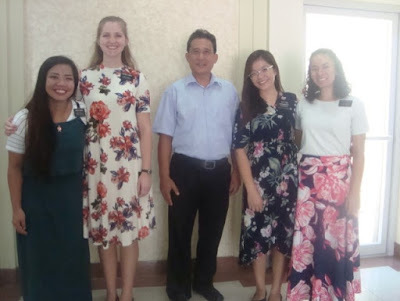 The missionaries in my district are such good examples to me, and the people we are teaching are so happy despite the incredibly hard things they are going through. 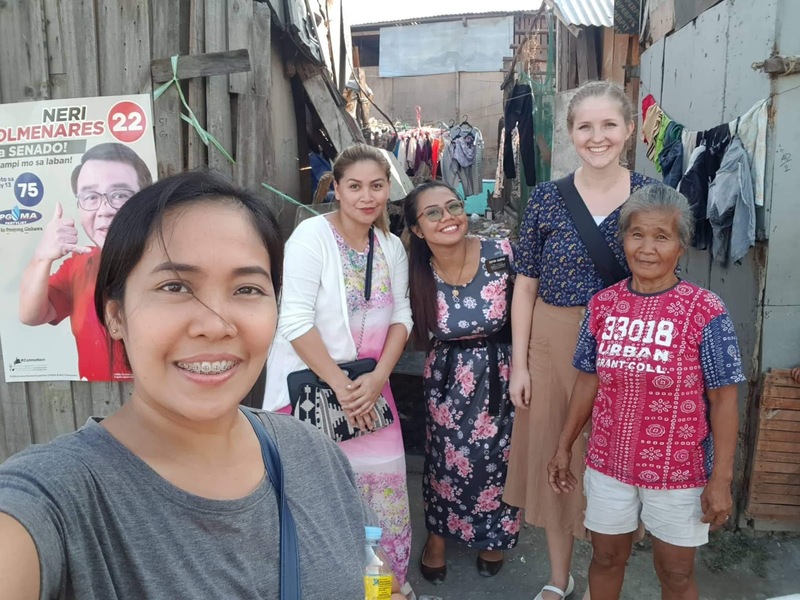 Nanay Norma is someone we really focused on this week. Her house is falling apart due to termites and she has ran out of money almost completely. Truly her challenge day by day is trying to get food for her family to eat and trying to pile up some wood pieces to make walls for her house... can you imagine? Yet she is the sweetest lady ever and one of our best friends. 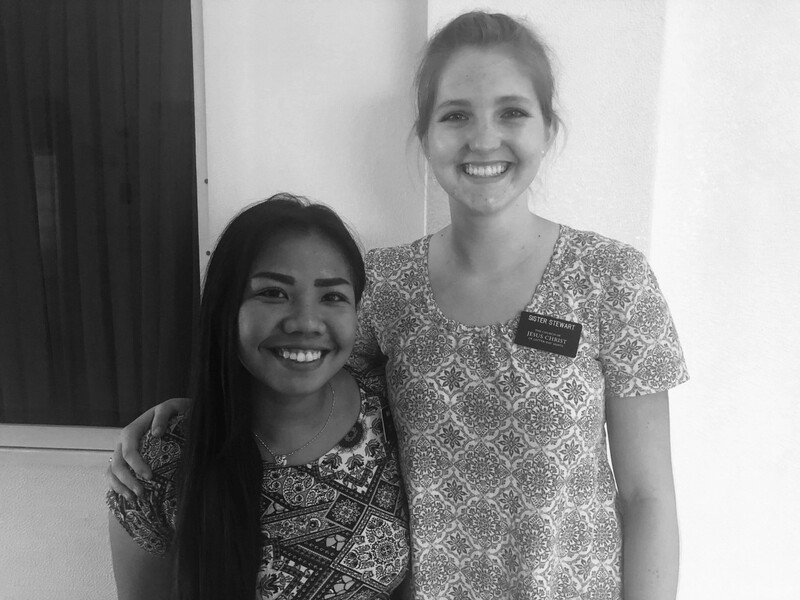 Her faith in the Savior is so strong and truly inspirational. My companion and I have done everything we can to help her. 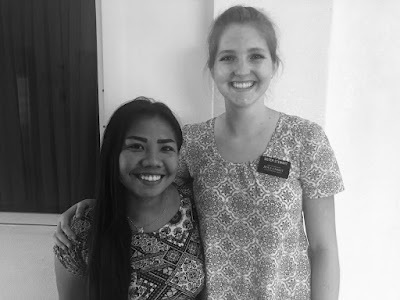 Sister Gaspar told me the other day, "I wish we could help her more, but what can we do? 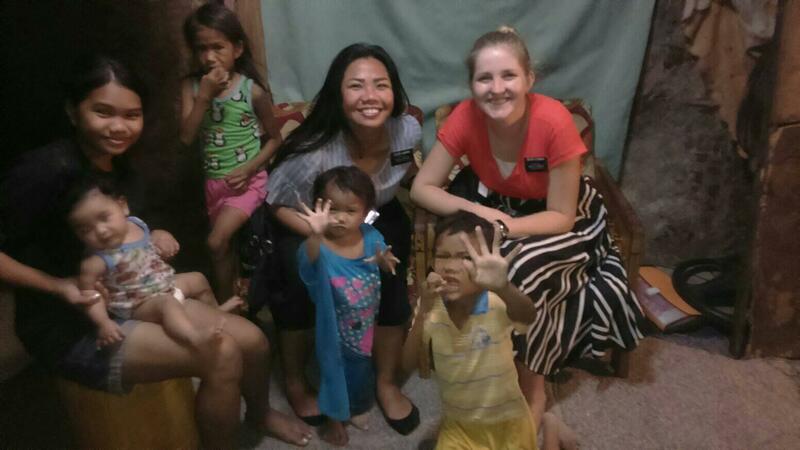 We're just missionaries." I realized then and there that we can help her more than anyone else could. Even if she had a standing house and food for her family to eat, she would not find true happiness without the gospel of Jesus Christ. The knowledge that we missionaries and members hold is far more valuable than anything in this world. It is priceless. I love to think about Nanay Norma and how every tear she sheds and every drop of sweat from her brow will account for more and more blessings in heaven as she keeps enduring it well. Our trials and troubles are blessings. No matter what. Even if its hard to see the blessings right now, keep going. Endure it well. How blessed you will be. If you can't see it in this life, imagine how in awe you will be at the size of your mansion above. Your tears of sadness in this life will turn into tears of love and gratitude to your Father in Heaven. I can now say that I am grateful for every single trial I have gone through in my life. Why does God let bad things happen to good people? Because He loves us. He wants us to grow and to find joy. I believe this with my whole heart. You can do it. God knows much more about yourself than you do. You are strong with Him by your side. I know this to be true. 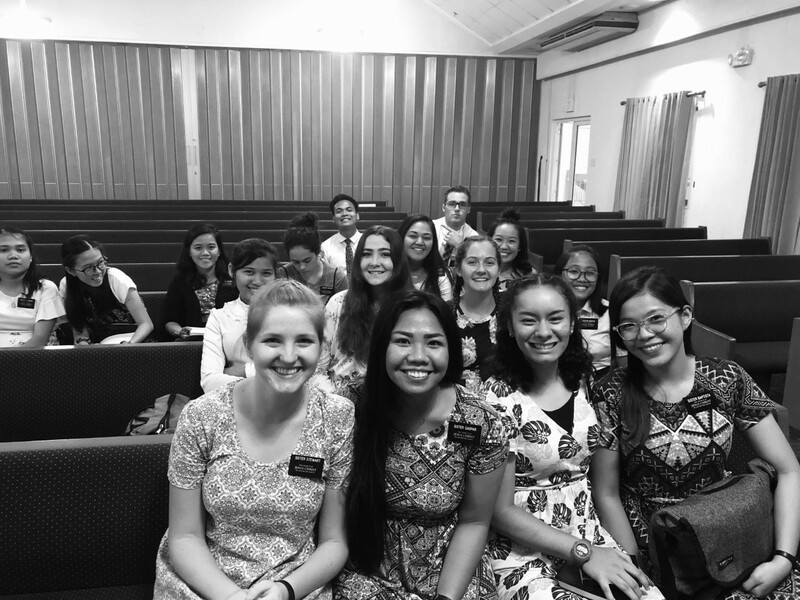 I love you all and I am grateful for the examples you are to me. Hello hello!! First of all, dang I am sooooo happy and I hope you all are too! I feel like the most blessed person in the whole wide world to be here and to serve people that I love so much! There are so many things to tell MY GOODNESS!!! So my first area is called Taguig. It's very densely populated and not really what others would call pretty... but I think the people make it the prettiest place in the world! There are kids all over!! I love it here so far. Ok, you know missionary language, lots of weird stuff that I still need to learn... So my kasama was like "I had a friend, Sister something, she died just last week" My heart sunk! I was like oh my gosh I am so sorry that's so sad! My kasama just started laughing because it meant that her mission ended, not that she actually died... blonde ako. There's more... in our apartment, i was standing right next to Sister Baptista but she apparently didn't know I was there. When she saw me, she SCREAMED bloody murder and held it out until she hid behind her kasama. Oh my goodness, it was so funny. I died laughing for like a half hour. 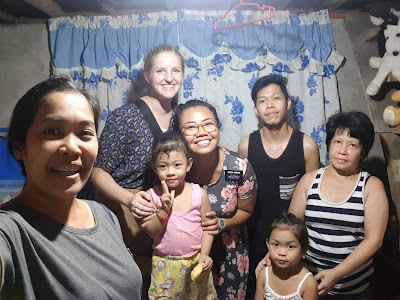 That same day, we visited the Fajardo family. They are members, so for our spiritual thought, I just shared my favorite scripture with them and a discussion followed. I wanted to add some awesome comment and so I started with: "Para sa akin, hindi ko alam kung paano magtagalog. Pero, nagtutulong ko ang Diyos" which means. " For me, I don't know how to speak Tagalog. But, God is helping me". I was so proud because it was all correct tagalog so on the inside I was like WOOO!! But then, I said "at... JOKE LANG" which is "and... JUST KIDDING" because I didn't know what else to say!! It was so funny. I turned bright red and we all had a good laugh. We had an amazing experience with one of the people we are teaching. His name is Ric and he has the cutest family ever. He is so ready to be baptized and you can tell that he already has a strong relationship with Heavenly Father. The only problem is, him and his asawa are living together but are not married. 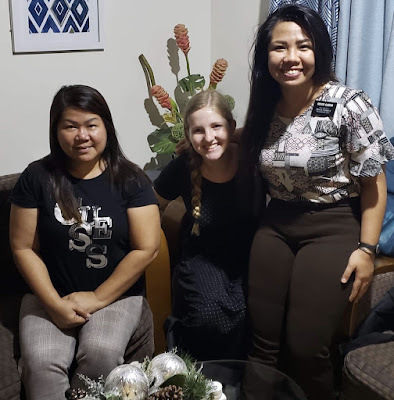 My kasama said that they have been focusing their visits on the importance of family, but I really felt impressed that we should read Mosiah 18 and talk about baptism to hopefully grow his desire more for that. As we were teaching, the Spirit was really strong. 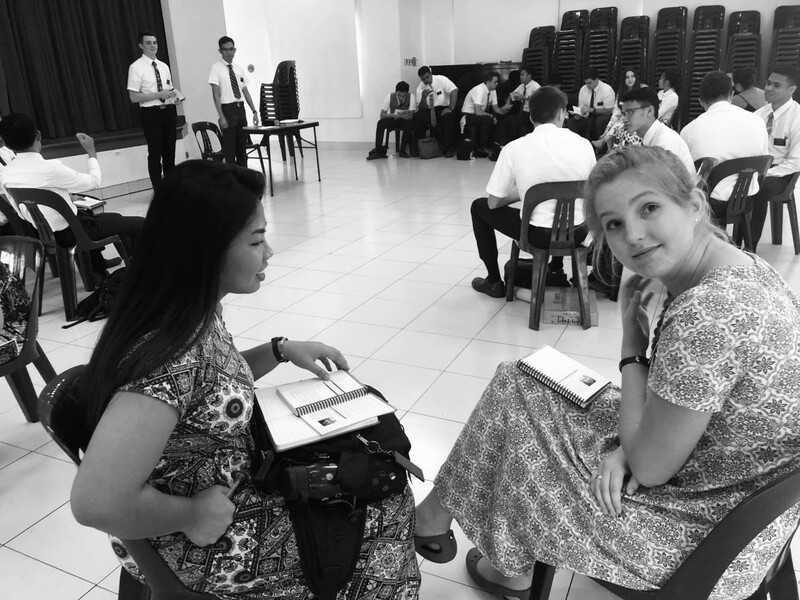 We started talking about the Holy Ghost as well and I was told by the Spirit to ask if he had any experiences where he has felt the Holy Ghost and to share it with us. We ended up being able to see how strong his desire was for baptism and how eager he was for it. He understood that he needed to be married as soon as possible and that they are trying! It's made us so happy. Pray for them! There are so many individuals that I really need your prayers for, but the one that needs the most I think is an 18 year old named Lovely. She is ready to be baptized and is old enough that she doesn't need a parent's permission, but her father does not approve and he is very abusive. If she goes to church, we are scared that she could get hurt. 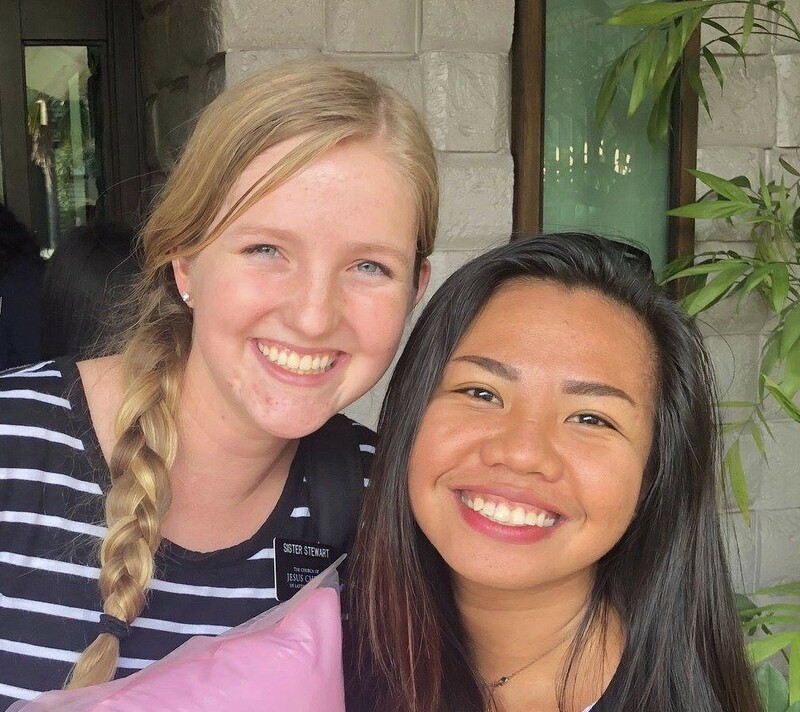 Please pray for her father's heart to soften and for her family to be able to attend church so that she can be baptized. My heart is aching for her. WOW sorry this email was so long. I love you all! !